Pain-treat.com is the patients information source for Pain Treatment Associates of West Plains Missouri. While PTA was moving to their new location at 1410 Doctors Drive in West Plains it seemed fitting to upgrade their 90’s looking old site. Many business have been stuck with “Ghost” developers and left without a way to update their old site. If your developer has disappeared give us a shout. We can help regain control of your website address or URL, set up proper and secure web hosting for your business and give your business the professional look online that you deserve. We worked directly with office staff to make sure that the site was everything they wanted. 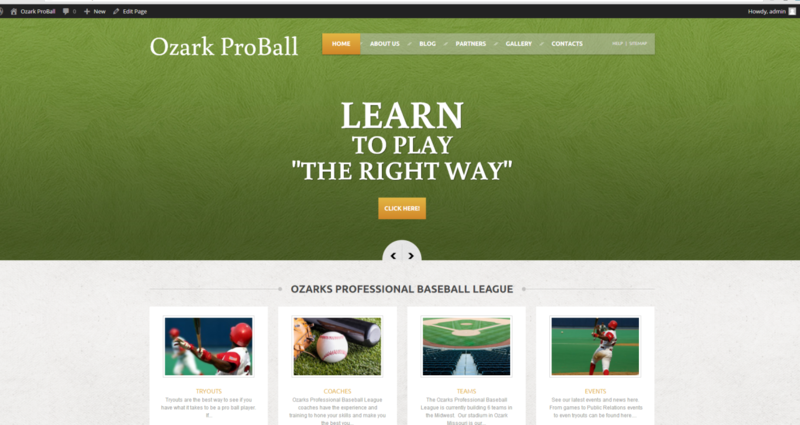 If you need help with your website give us a call at 417-812-5660 or send us a message on our contact page. 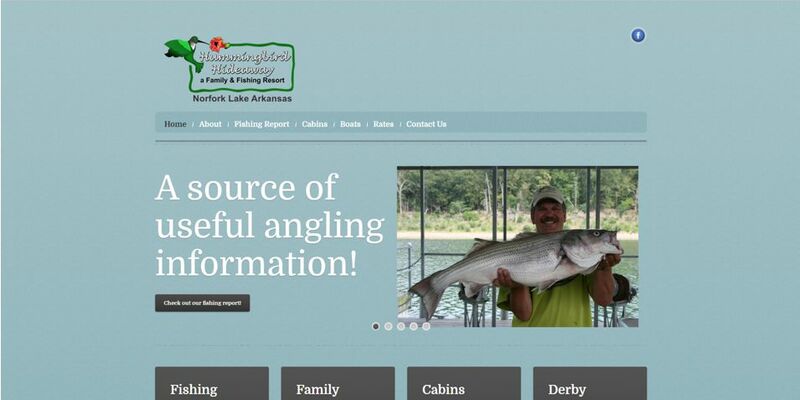 Hummingbird-Hideaway.com is a mobile friendly SEO optimized website for a great resort on Norfork Lake. This project is the CMS project with a twist. Lou at Hummingbird Hideaway Resort on Norfork Lake is an avid fisherman. Lou fishes usually 5 days a week to help keep his guest “on the fish”. As part of the service he offers his guest and the Norfork Lake in general is his Fishing Report. Lou shares his fishing expertise with any one reading his report. Lou had been posting his Fishing Report in Google Blogger and wanted to keep posting in his blog but also wanted his Fishing Report on his website, with out posting twice. For a solution we whipped up a quick data scraper that would read the text and pictures from his Google Blogger site and post the information on the new website, keeping the colors and style of his website, Lou’s website now included his Fishing Report. This scraper allowed Lou to post his fishing report one time and in the manner that he was used to posting. Along with a new vectorized logo and all the content Lou required for his new mobile friendly website the new site was launched. It was a pleasure working with Lou from Hummingbird Hideaway Resort on the beautiful Norfork Lake in Arkansas. We would recommend if you are looking for a great place to stay and fish, or have a family gathering; check out Hummingbird Hideaway, you will love your stay. FoutBoatDock.com was another fun project. Renee from Fouts was needing a new website but was holding off because of the prices she had been presented by our competitors in the Mountain Home AR area. We were camping near Fouts, our favorite arm of the lake, and stopped in to Fout Boat Dock to fuel up and get some ice cream for the kids. Through conversation Renee discovered that we worked for a web development and programming company. We didn’t have any business cards on us at the time but Renee would not let us leave without writing down our phone number because of the “ballpark” pricing that was discussed. Within a month the new FoutBoatDock.com was launched and for about one third the price of the competitive bid. Our low overhead and virtual offices allow Suit7’s developers to offer lower prices by focusing our time and talents providing great service and programming for our customers. We loved working on this project and of course it required some lake time “work” 🙂 for pictures and video and we LOVE Norfork Lake. In less than a month and along with some complementary social media coaching Renee had her new website mobile friendly website up and running and was very pleased. If you are looking for the “Quiet Arm of the Lake” head up to Fout Boat Dock they have everything you need for a day on the lake. They also have good pricing for boat and wave runner rentals, even a bathroom right on the dock. 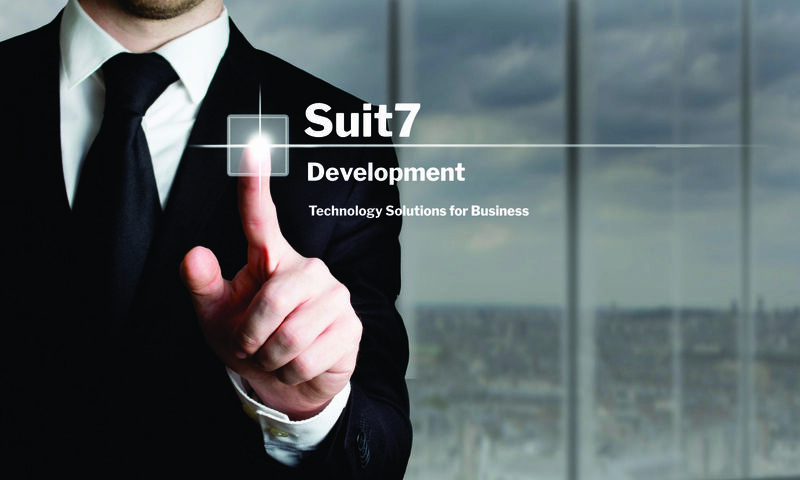 Suit7 Development is proud to work with Defensive Engagement Concepts in the creation of their new site. DefensiveEngagementConcepts.com is optimized for mobile, complete with dynamic calendar, contact forms, and a custom look including animated page loading. Your online presence is just as important as your brick and mortar in today’s online world.